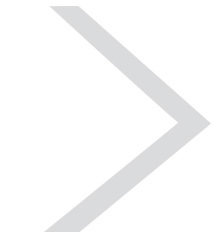 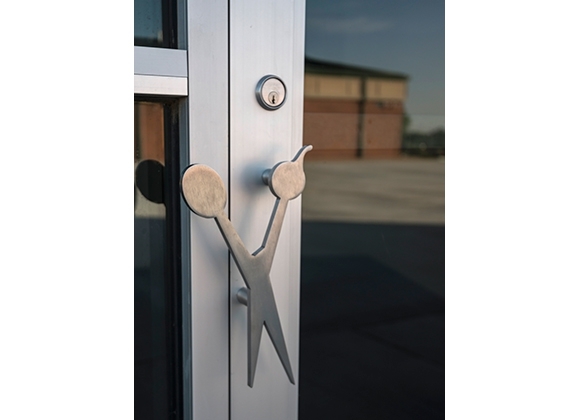 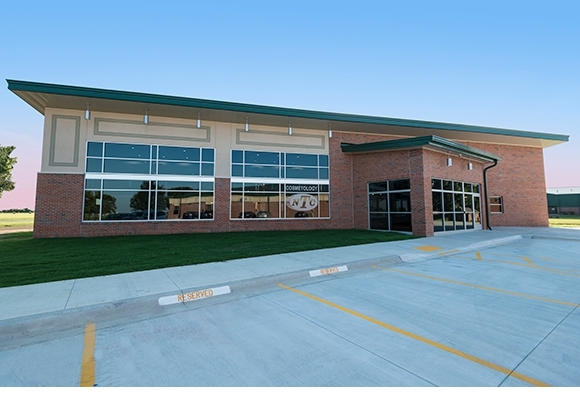 GH2 designed the new Cosmetology Facility for Northeast Technology Center located on their Afton Campus. 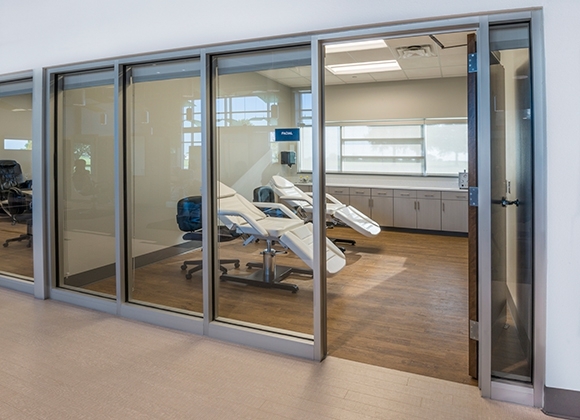 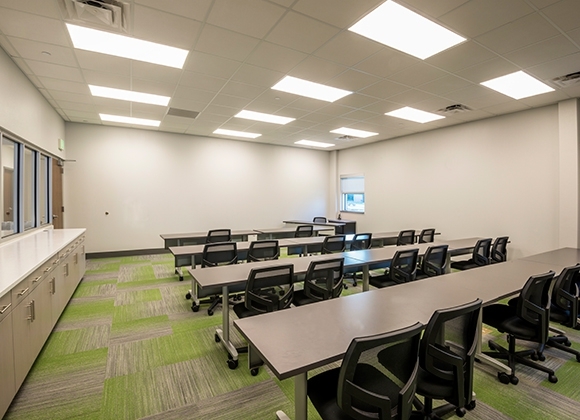 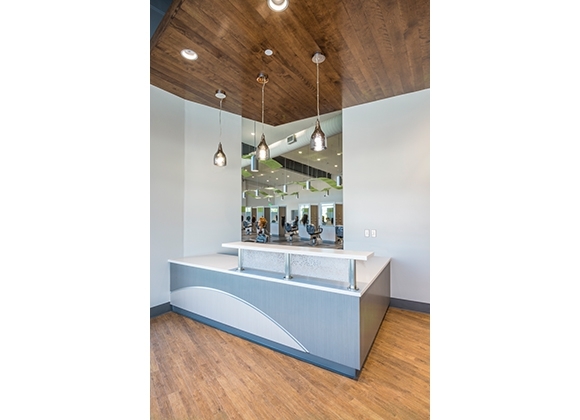 The 5,840 SF facility includes a lobby with reception desk, a large open room with twenty-two hair work stations, a manicure and pedicure room, a large classroom, locker rooms, lounge and additional support spaces. 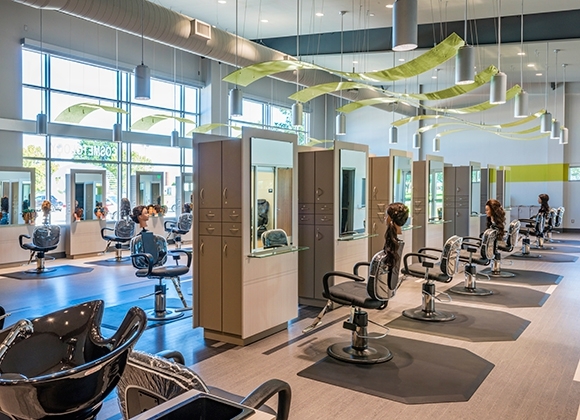 In addition to providing a space in which to train cosmetology students, this facility also functions as a salon, open to the public, giving students the opportunity to practice interacting with clients. 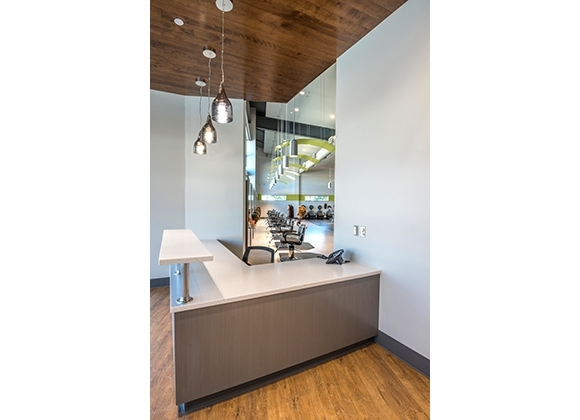 The exterior design complements the existing campus facilities and also features a modern entry element. 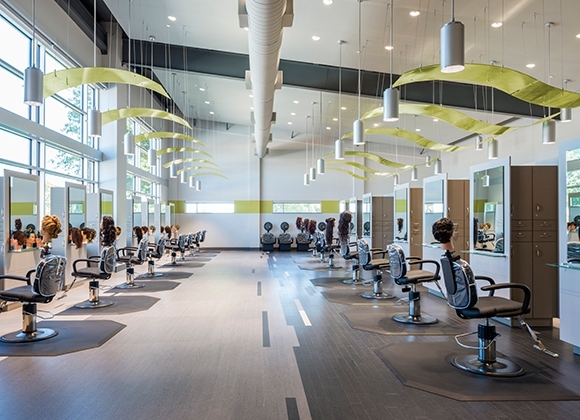 The school's interior was designed to resemble a spa in both appearance and overall atmosphere, with the goal of giving students a more realistic learning environment and providing a relaxing, luxurious experience for patrons.